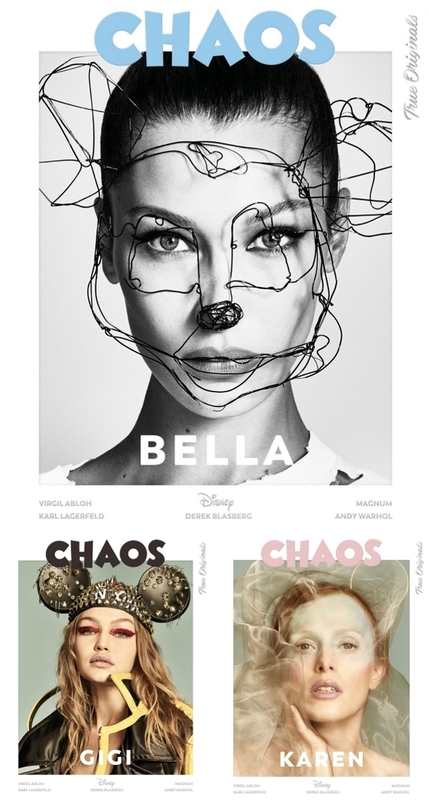 We’ve come to rely on Luigi & Iango to consistently deliver arresting imagery for magazine covers and advertising campaigns. Whether the duo is shooting major covers for Vogue Japan, Vogue Italia or Vogue Russia, our forums are usually a captivated bunch. Therefore, we aren’t at all surprised that Chaos has commissioned Luigi & Iango for its special poster book commemorating Mickey Mouse’s 90th birthday. 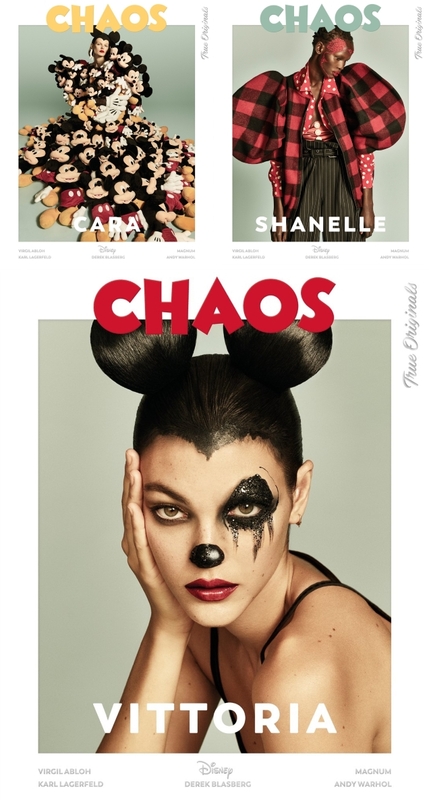 To help with the celebrations, Chaos enlisted models-of-the-moment Bella and Gigi Hadid, Karen Elson, Cara Taylor, Shanelle Nyasiase and Vittoria Ceretti to pay tribute, each getting their own cover of the limited-edition book while channeling the iconic Disney character in the most fashion-forward way possible. The covers sparked a keen interest amongst our forum members. “They’re all really fantastic covers. And I’m loving this little Karen Elson resurgence lately. She’s iconic and is pretty consistently getting good work, but it’s like every couple years she kinda has a full-on spell of high profile fashion gigs and I’m always here for it. It’s surprising how seamlessly she fits in with these girls of an entirely different era,” admired happycanadian. “Oh my God, Karen’s made me gasp. That face!” exclaimed dodencebt. “Karen is the winner here,” russianelf declared. “They are all quite good. Especially Shanelle’s one. Love how the silhouette of her garment has the shape of Mickey Mouse,” said forum member mikel. “When I read the title of the thread I thought that it would be a disaster, but looking at this I really like it, especially Vittoria’s cover,” ghostwriter10549 chimed in. Whose cover are you into most? Check out some previews of the shoot and join the conversation here.